OfferSave big with new all-inclusive rate plans. 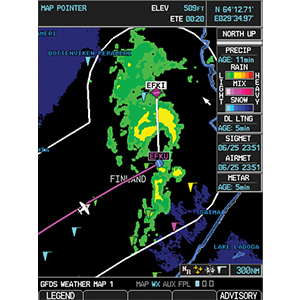 Part of the Garmin Connext® family of flight connectivity solutions, the GSR 56 satellite datalink brings on-demand global weather information — as well as onboard text/voice communications, aircraft position tracking and more — to aircraft operators worldwide. Using Connext satellite services, GSR 56 can provide seamless global coverage nearly everywhere your aircraft can go — even in locations not previously served by other satellite networks. Simply set up voice and data service (subscription required), and start enjoying added safety and convenience on every flight. With GSR 56, you can enjoy the safety-enhancing benefits of on-demand satellite weather when operating internationally. World Wide Weather data includes Meteorological Aviation Reports (METARs) that provide current temperature, dew point, precipitation, wind speed and more, as well as Terminal Aerodrome Forecasts (TAFs) that show predicted weather for up to 30 hours in advance. 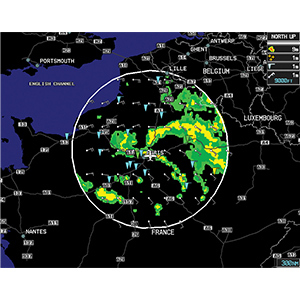 Throughout most of Europe, Canada and the U.S., GSR 56 can also receive high-resolution radar imagery, which you can access directly on your compatible Garmin flight display. Additional radar coverage areas are being added continuously. Stay in touch from virtually all corners of the globe. 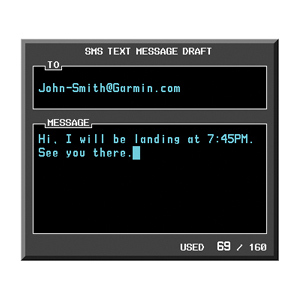 The GSR 56 satellite datalink can be used to provide 2-way text messaging via SMS to any compatible phone or email address. 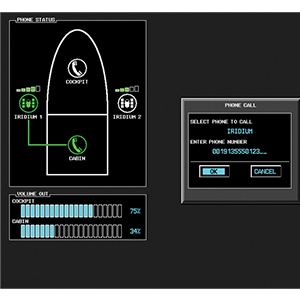 In addition, you can easily make and take calls while in flight; GSR 56 integrates into your aircraft’s audio/intercom system, enabling you and your passengers to speak and listen directly through a headset. For even more versatility in bringing global satellite capabilities from GSR 56 to your flight deck, use Connext via 1 of our Flight Stream 510 or Flight Stream 210 series wireless gateways. It can stream information in real time between your avionics and compatible Apple® or Android™ mobile devices that run our Garmin Pilot™ app. With this wireless gateway combination, your smartphone or tablet becomes a true cockpit interface, allowing anyone in the aircraft to initiate phone calls from their seats and converse over their headsets while in flight. 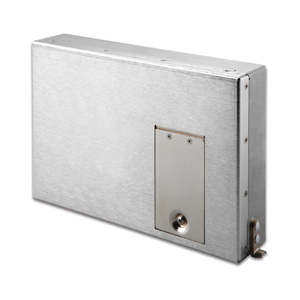 You can even send text messages or make calls using the existing contact list on your mobile device. 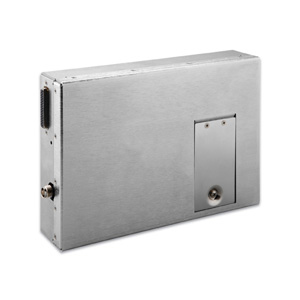 Plus, if your system includes a GTN 750 or GTN 650 series touchscreen navigator, the Flight Stream 510 gateway’s wireless streaming capability can turn your smartphone or tablet into a true cockpit interface. This allows you to access a whole array of new features and advanced connectivity options — including database syncing, flight plan uploading and more — without adding additional boxes, wiring or antennas to your equipment list. To further enhance the safety and security of global operations, GSR 56 can also serve as an affordable asset tracking solution that continuously monitors your aircraft’s status en route. 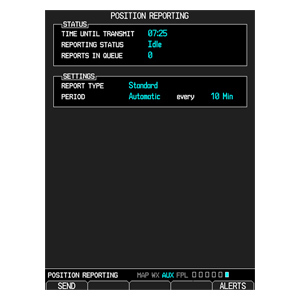 In this mode, GSR 56 automatically provides GPS-referenced position reports at predetermined intervals — so those on the ground can easily track your mission’s progress. GSR 56 satellite datalink and Connext combine to offer you a full range of datalink, messaging and voice calling solutions to help you fly and communicate more efficiently in today’s nonstop, globally connected world. Apple® is a trademark of Apple Inc., registered in the U.S. and other countries. Android™ is a trademark of Google Inc.